Drawing on death and afterlife traditions from cultures around the world, Mark Mirabello explores the many forms of existence beyond death and each tradition’s instructions to access the afterlife. He examines beliefs on the soul, heaven, hell, and reincarnation and wisdom from Books of the Dead such as the Book of Going Forth by Day from Egypt, the Katha Upanishad from India, the Bardo Thodol from Tibet, the Golden Orphic Tablets from Greece, Lieh Tzu from China, and Heaven and its Wonders and Hell from Things Heard and Seen from 18th-century Europe. Considering the question “What is Death?” Mirabello provides answers from a wide range of ancient and modern thinkers, including scientist Nicholas Maxwell, the seer Emanuel Swedenborg, 1st-century Buddhist philosopher Nagarjuna, and Greek philosopher Euripides, who opined that we may already be dead and only dreaming we are alive. 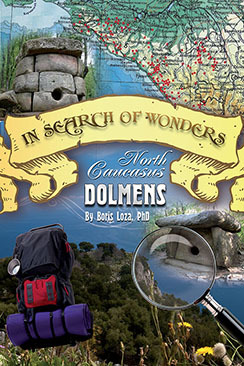 He explores the trek of the soul through life and death with firsthand accounts of the death journey and notes that what is perceived as death here may actually be life somewhere else. He reveals how, in many traditions, ethics and the afterlife are not connected and how an afterlife is possible even without a god or a soul. Sharing evidence that consciousness is not simply a product of the brain, he offers a strong rebuttal to nihilists, materialists, and the Lokayata philosophical school of India who believe in the “finality” of death. He explains how specters and ghosts are produced and offers techniques to communicate with the dead as well as instructions for an out-of-body experience and the complete procedure for a séance. 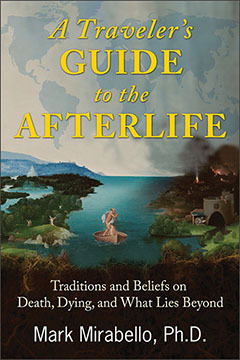 With an extensive bibliography of more than 900 sources, this guide offers comprehensive information on afterlife beliefs from the vast majority of cultures around the world and throughout history—a veritable “traveler’s guide” to the afterlife. A TRAVELER'S GUIDE TO THE AFTERLIFE: Traditions and Beliefs on Death, Dying, and What Lies Beyond By Mark Mirabello, Ph.D. 224 pages. 6x9 Paperback. Illustrated. References.